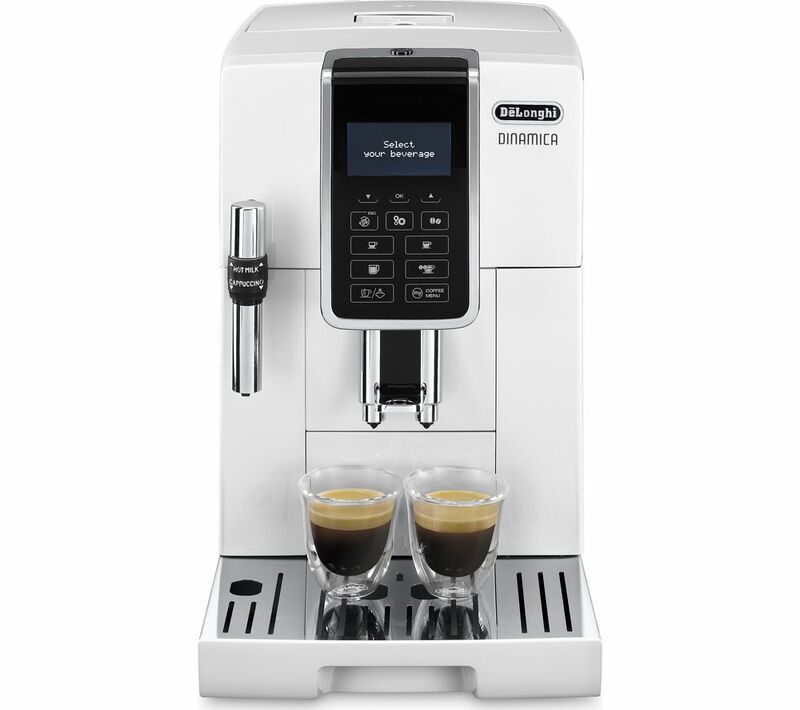 Easily create your favourite coffee shop drinks at home, with the simple-to-use De'Longhi Dinamica ECAM 350.35W Bean to Cup Coffee Machine. 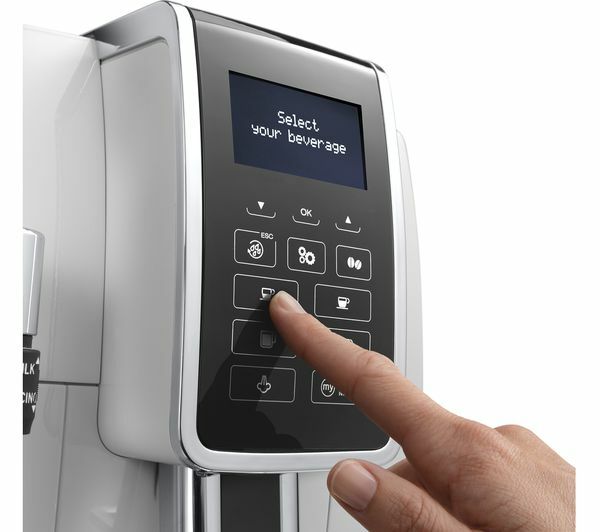 It features clear touch controls from which you decide which settings to use, so you can quickly enjoy a delicious beverage. 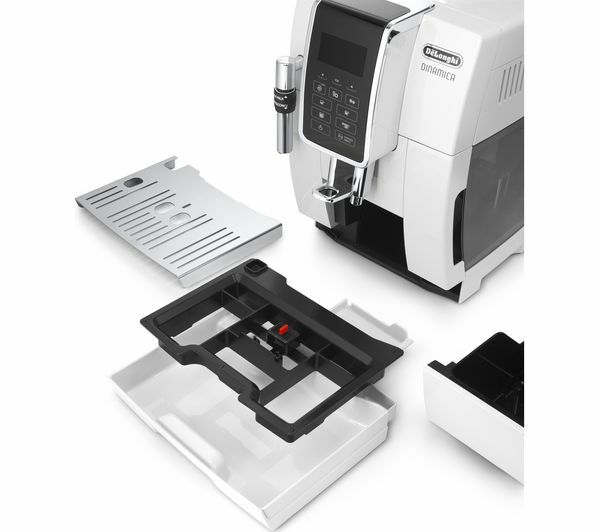 The integrated grinder means you don't just have to use ground coffee for your drinks – you can also buy fresh beans, with the ability to store up to 400 g on-board. 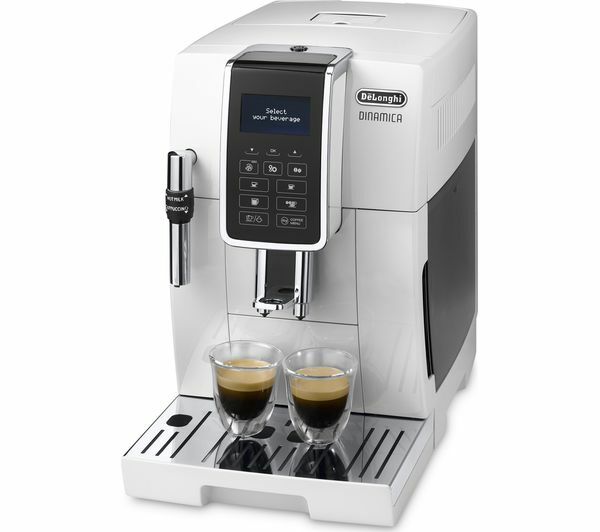 As well as using one of the 13 grinder settings for the beans, there's also a milk frother so you can whip up cappuccinos and lattes whenever you want. 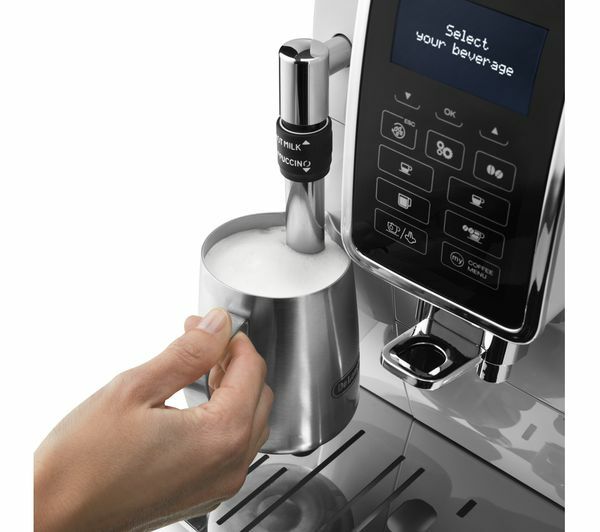 The simple “MY” menu on the touch screen helps you to program the strength, length, and temperature of your coffee, and you can store the settings to quickly access your preferred drink next time. 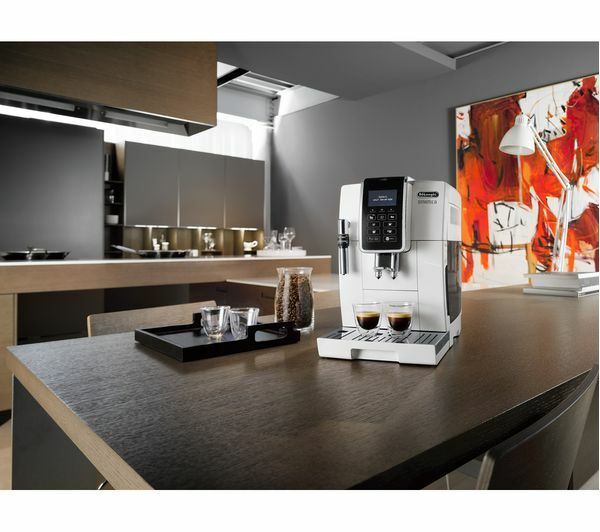 Keep your coffee machine in top condition by using the automatic rinse, cleaning, and descale programmes. It also has dishwasher-safe parts when you'd prefer a deeper clean.